Adapters are the Interface between video game boards and cabinets or Super guns. We deliver ready-to-go JAMMA adapter boards, handmade adapters for specific cases and parts for self-made adapters. 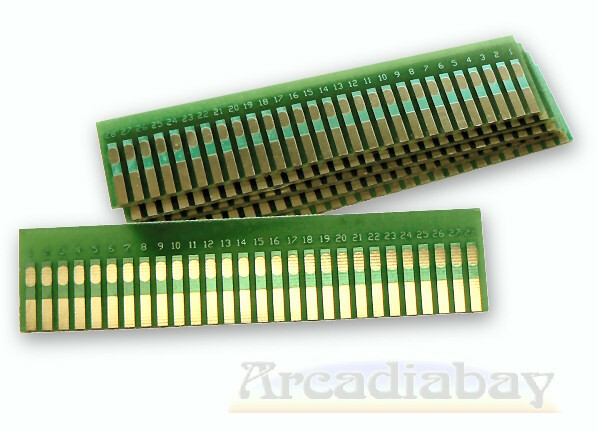 Various JAMMA Adapter boards that allow you to operate your Non-Jamma games within a standard JAMMA cabinet or super gun. Ready-to-Go Adapters, Harness and Adapterprints for Adp- and Hellomat Cabinets. Here you will find parts and accessories for your self-made adapters, ranging from JAMMA fingerprints on complete JAMMA harness to cable straps..
PCB Edge connectors in different sizes for restauration or conversion of original cabinets and for home-brewed Adapters.